Woodland Cemetery was founded in 1855 as the West Newark Cemetery. The cemetery was known as the German Cemetery in its early history since most of the burials were of ethnic Germans. In fact, many of the early monuments in the cemetery are carved in the German language. Covering approximately 36.5 acres and over 80,000 burials, Woodland was an active cemetery well into the 1980s that conducted, and still does, a small number of burials in existing graves. In 2016 a new section of affordable graves and ash plots was opened and promoted to the surrounding communities. 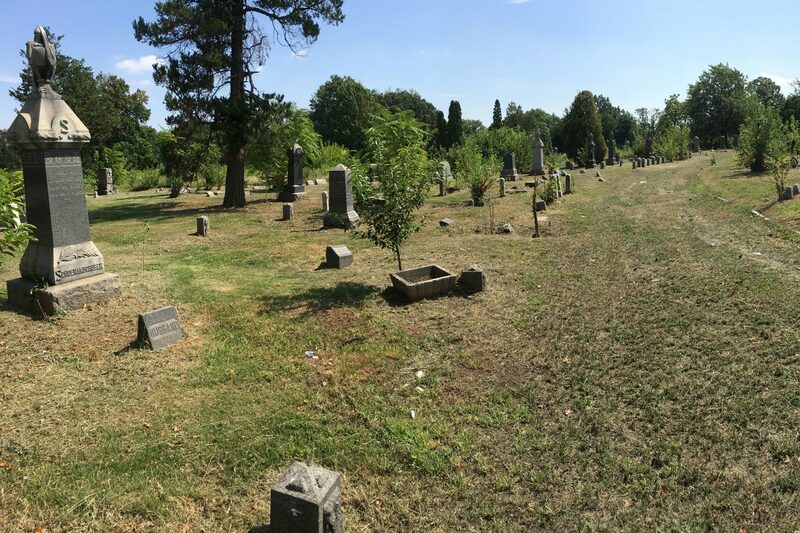 The entirety of Woodland Cemetery is historic in nature. It was among the first rural or garden cemeteries in the region. The main entrance to the cemetery, a brownstone Gothic Revival gatehouse, was constructed between 1873 and 1881. Well over 600 war veterans are buried in Woodland as well, covering every major U.S. war from the War of 1812 to the Vietnam War, including over 350 veterans of the Civil War. The Woodland Cemetery board of managers aims to promote the history of the cemetery and to honor those who have gone before us. The board seeks to maintain, preserve, and enhance the historic burial ground by raising funds for continued maintenance, the restoration of historic structures and original features within the cemetery, and to develop a welcoming, accessible landscape for all visitors.